A small prison owned by and standing on the Bishop of Winchester's land near the Thames, in Southwark. The land was known as the 'Liberty of the Clink'. It was probably a sub-division of King's Manor, owned by the Bishops of Winchester from 1107. The word 'Clink' is derived from a Flemish word for a 'bolt'. The small building remained on the land from about 1162 until it was destroyed in the Gordon Riots of 1780. Wooden plaque, photographed in 1997. It was to be seen on the north wall of Clink Street, a little further west of the present brass plate. It was replaced some time before 2000 by the present brass plate. 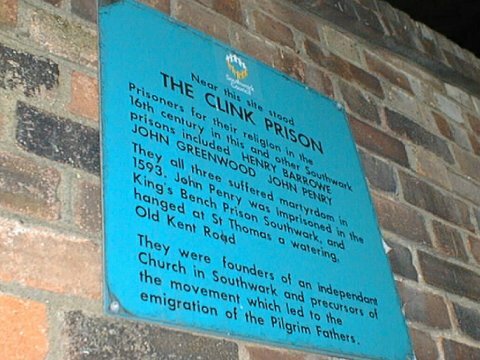 The present brass plaque is situated on the north side of Clink Street, almost opposite the tourist attraction called the 'Clink Prison'. 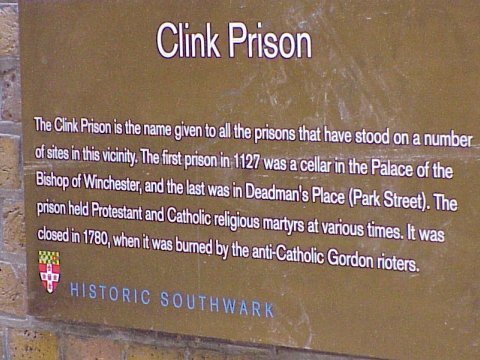 There is no historical connection with tourist venue and any known facts about the site of the real Clink Prison. It should also be noted that, as the plaque states, the prison probably occupied several different sites over the centuries. None of the sites on which the prison stood are known for certain. Clink Street in the 1970s. 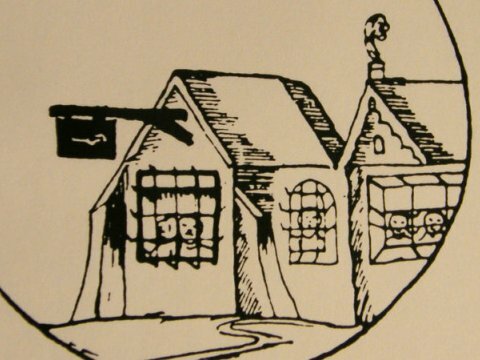 It could be that the street derived its name from the Clink Prison. 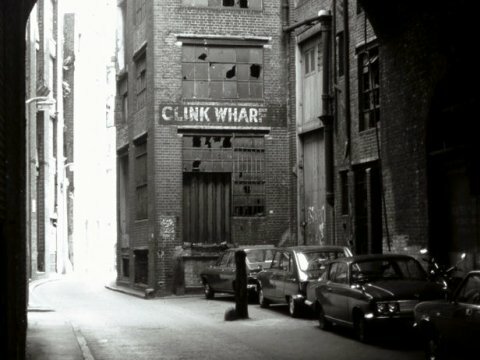 Clink Wharf is now in use as the tourist attraction of 'Clink Prison' but there is no evidence for this being the site of the original prison. 'In the Clink' or 'In Clink' is a phrase known throughout the English-speaking world meaning 'to be locked up in prison'. The phrase certainly derives from this little prison in Southwark but why this prison should be mentioned is a mystery. Clink Prison was quite small and was only used to encarcerate men for their religious beliefs. It was hardly a place of terror. The most notorious prison in London was Newgate Gaol and the phrase for being locked up should have been 'In the Newgate'. It may be that the term 'In the Clink' was a 'send up' of this innocuous prison and that, after the phrase had been often repeated, it eventually passed into colloquial English usage.